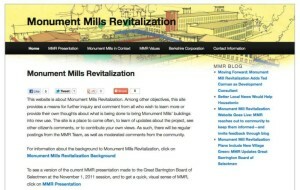 For this public relations website for a property redevelopment initiative, one of the first questions asked was if the WordPress platform could support a presentation-style component along with the needed blog functions. The answer to this was a resounding yes. Using the WordPress 2012 Theme as a basis for the customized theme, we developed a graphic of the redevelopment blueprint as a header graphc. This helps to immediately define the site purpose for the visitor. The Press Relations manager was able to add up to date news releases about developments in meetings with town selectmen. The site was essential as a main presentation of the developer’s plan for the general public. For the Presentation section, we converted a Powerpoint presentation so that it could be displayed as an in-page non-Flash slideshow. Another feature is the depth of background and history presented through galleries and stories on the site pages. Do I need to advertise on Facebook?